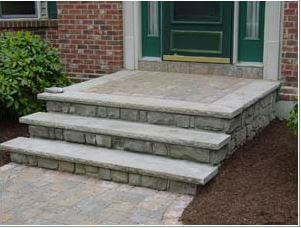 At the front of your house (it could be at the side or the back as well) there is a little concrete or tiled patio. It’s often the home of pot plants, deck chairs and other outdoor furniture. A nice place to sample a gentle summer breeze and recline with a coldie providing the sun isn’t shining in from the wrong direction. The funny thing is you can’t really get under it from the subfloor space below the rest of the house. It’s bricked off or concreted, presumably solid. What could be inside? You’d seldom stop to think about it but perhaps you should. What IS in there? These enclosed patios often end up being a dumping ground during the building phase of the house. All sorts of construction debris can end up in there, ultimately left out of sight and out of mind. Debris is commonly used to hold the concrete lid in place while it sets, this ranges from corrugated iron but also chipboard, ply sheeting, spare flooring or any number of edible timber products. Sealed in the void with no ventilation it’s only a matter of time before the rot sets in. Not long after the termites arrive, overjoyed with the humid, fungified environment. Even without timber formwork the lack of ventilation provides a safe environment to forage. The concrete ‘lid’ over this hidden little chamber is by no means a barrier to termites. They’ll just use the crack between concrete and brick or any other joint to secretly enter your house. Often these patios actually cover the wall cladding where they meet the house, offering perfect cover and direct access. In these cases there can be no visible mud at all! If they’d kept to the void, everyone would have been happy. But they won’t. Termites are like an unscrupulous businessman, always wanting more and willing to dissect your house from under your feet if it’ll turn a profit. With this massive but super-secret entry point it’ll be a piece of cake. So what can you do about it? If it’s possible, knock a few bricks out and find out what’s in there. Try from under the house in the subfloor or garage area, avoiding an eyesore on the wall exterior. If there are conducive conditions in there, rectify them. Remove the old formwork, whether its iron sheeting (which could conceal termites) or timber products. 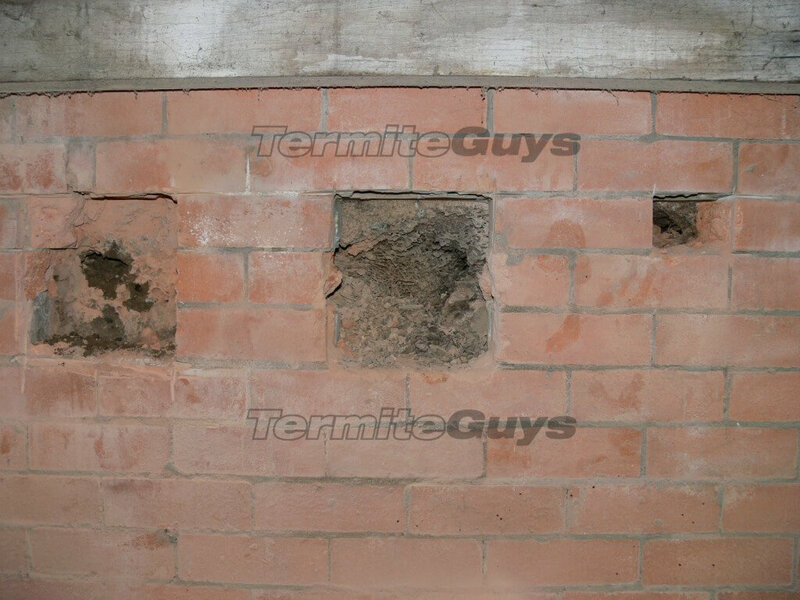 Get it ventilated; termites thrive in humid and still surroundings. 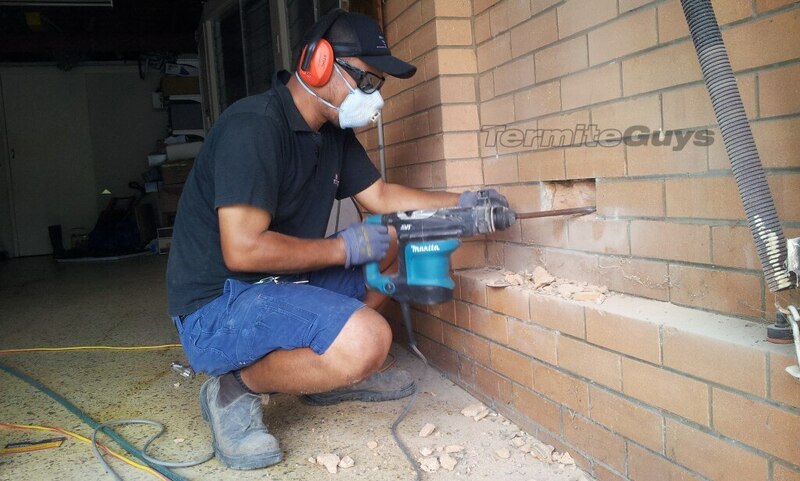 Even it is full of clean fill and timber free, it can still provide hidden access for termites so get it treated. One of our Technicians, creating a vent hole behind a front landing to reduce moisture build up. 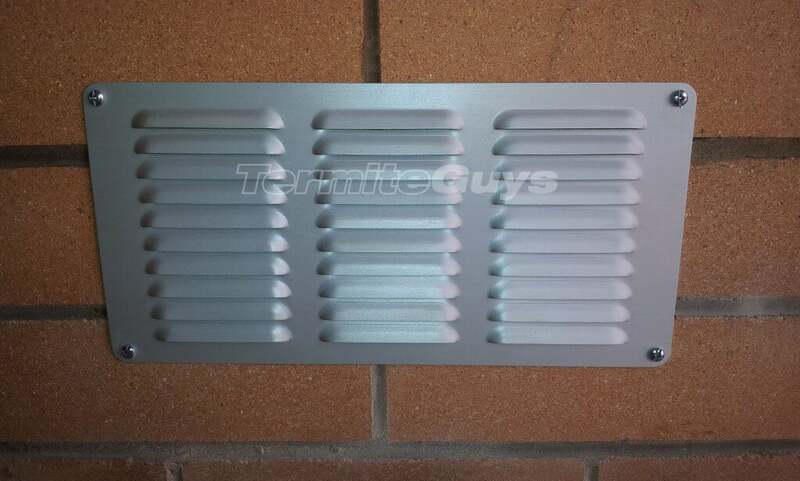 Ventilation is not only an easy thing to do, it will save you headaches in the future. All too often we see a house damaged via a concealed void, often when it would have been low risk had the void not been present. Don’t let this happen to you! The perfect conditions for any termite colony. 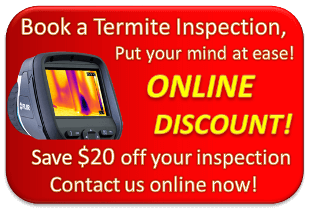 Call the Termite Guys for a termite inspection, free quotes or for friendly advice!